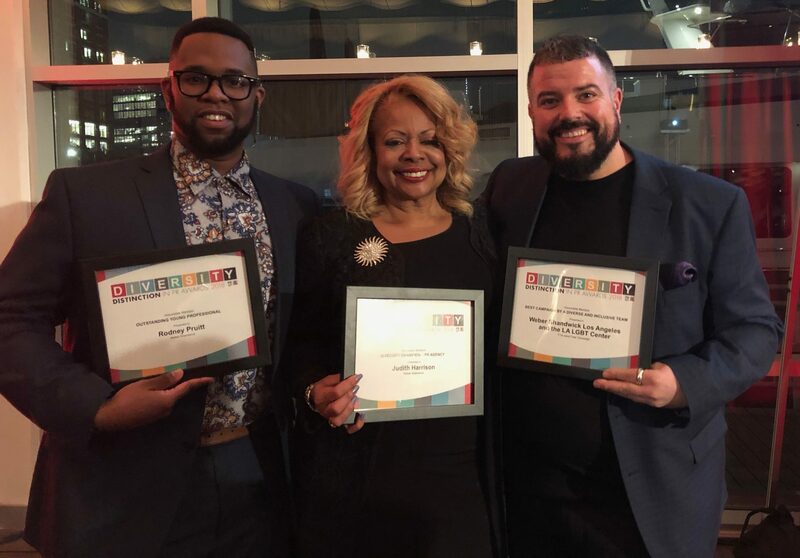 Weber Shandwick received three honors at the PR Council/PRWeek annual Diversity Distinction in PR Awards. The program recognizes individuals and organizations that play a key role in facilitating the recruitment, retention and promotion of diverse PR practitioners. 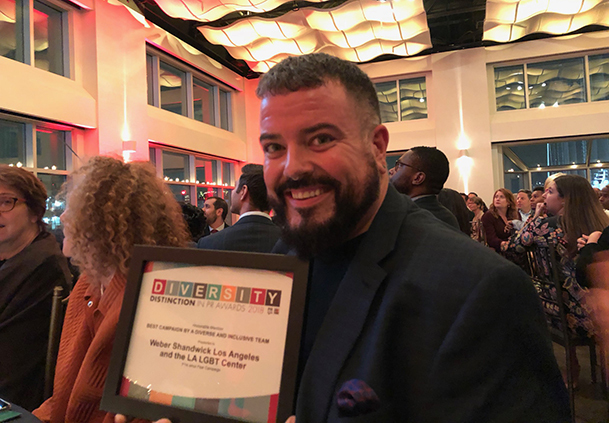 Weber Shandwick was recognized for its impactful client work in the “Best Campaign By a Diverse and Inclusive Team” category for the agency’s “F*ck w/out Fear” campaign created for the Los Angeles LGBT Center. The campaign aimed to raise awareness of PrEP (pre-exposure prophylaxis), particularly among gay and bisexual men of color and transgender women, and exceeded its goal of generating 500 new prescriptions within three months of launch. Executive Creative Director Peter Gay accepted the award for Weber Shandwick. 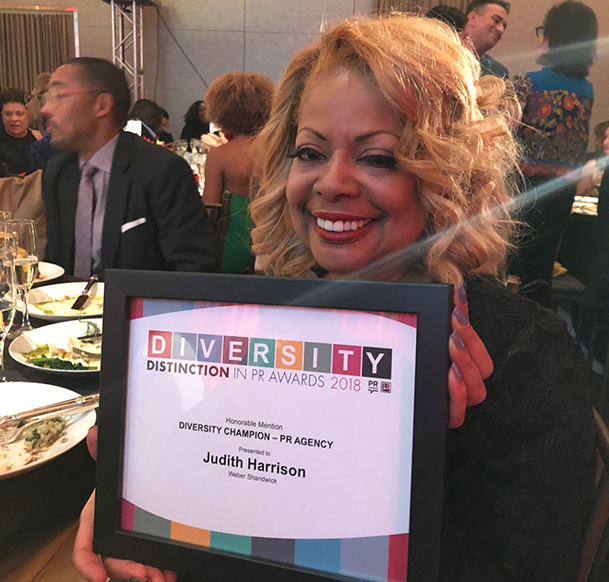 Senior Vice President of Diversity & Inclusion Judith Harrison was honored in the Diversity Champion category, which honors exceptional individuals who are role models and champions of diversity and inclusion through current action, as well as throughout their career. Judges commended Judith for her incredible legacy driving diversity in the industry and her sphere of influence as well as her impact on young public relations professionals. 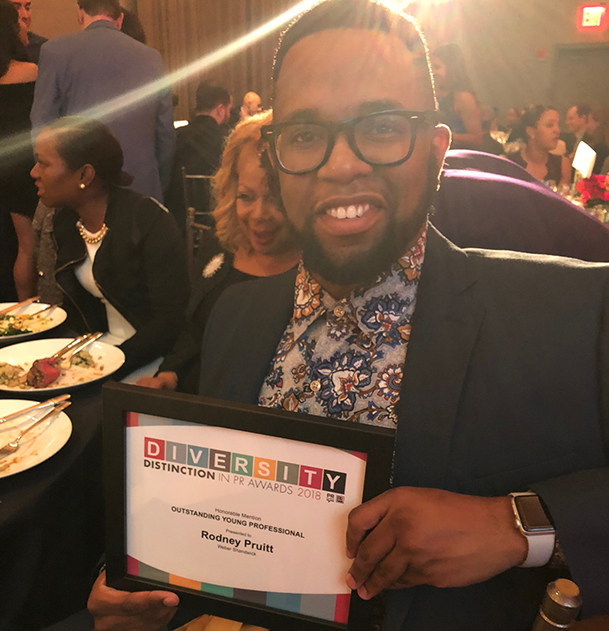 Earlier this year, Weber Shandwick received four honors at Interpublic Group’s annual IPG Inclusion Awards for its commitment to DEI initiatives.